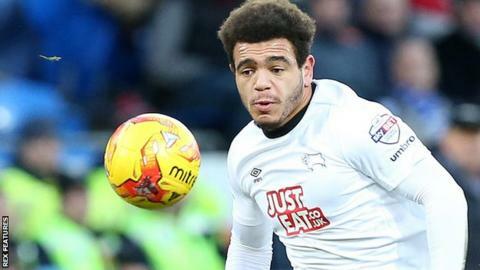 Derby County forward Mason Bennett has joined League One leaders Burton Albion on loan for the rest of the season. The 19-year-old is reunited with former Rams manager Nigel Clough, who gave Bennett his debut in 2011, making him the club's youngest first-team player at 15 years and 99 days old. Bennett has not featured for Derby this term, but has scored four goals in 14 games for their Under-21 side. "It's a great opportunity for me to be here," said Bennett. "I know the staff well here. They gave me my debut at 15 so hopefully I'll have more success here with them."